A modern commercial letterpress printing studio nestled in the woods of Wootton Bridge. We have a large selection of printing presses from the mid 1800s to the mid 1900s. Letterpress Design has been printing letterpress and hot foil commercially for over 12 years although we have over 25 years experience. We use many crafts associated with printing letterpress such as thermography and bronzing. We print large and small work, from greetings cards and wedding stationery to larger posters and special editions. We are looking to start offering short courses for people interested in starting to print letterpress as well as for people looking to print their own work. 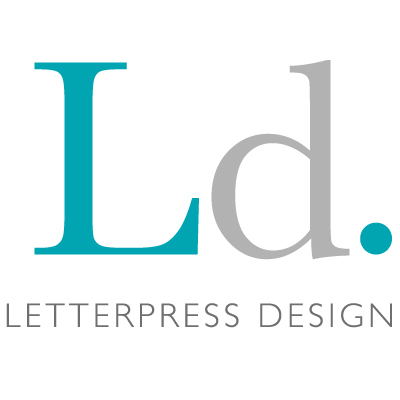 Letterpress Design was created as a company back in 2008 and since then has gone from strength to strength, especially since location to the Island in 2017. 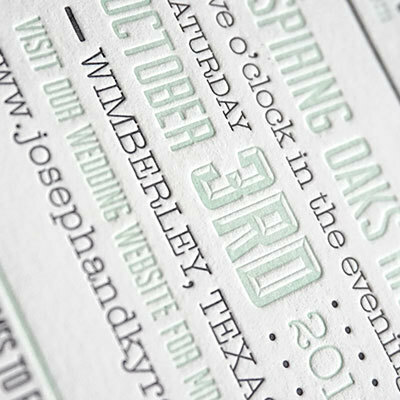 Letterpress Design is made up of print geeks who live for printing letterpress. Built upon years of traditional letterpress and design experience we are sure that we can help realise your letterpress print requirements. With over 25 years printing experience, more if you add our full experience together Letterpress Design has grown to become a fully functioning commercial and bespoke printing service. We can offer several services from the design stage right through to the finished product. We offer letterpress printing, foiling, thermography, die cutting, laser cutting and edge painting to name a few. We have grown from a one woman band through to a small company with focused skills to help promote letterpress printing and its associated services to a wider audience. Our sister company Lyme bay Press provides all of our printing supplies, most impotantly printing plates, which means we have complete quality control all of the way through the process. Over the years we have added to our collection of presses and now boast 3 heidelberg platens, 2 15×10 and 18×13, an Chandler & Price Crown Folio, a Jardine, a Farley flatbed proofing press, 2 Marshall DUT hotfoil machines several Adanas and our new additon, the Laser. I’m sure that we have a press/machine that will suit your needs. “Where is the real beauty in environmentally unfriendly, mass produced stationary that you can get anywhere? We have lost the quality within our modern culture and are producing nothing remarkable. In setting up Letterpress Design we are hoping to fill the gap that is being left by mass production and aim to provide beautiful, individual stationery products”.